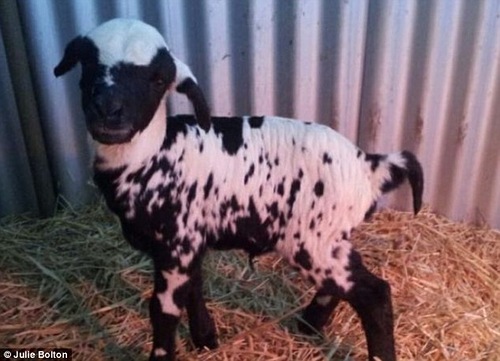 A black and white spotted lamb which has been adopted by Zoe the dalmatian in Australia. See story from Frank Thorne. Image from TV news. August 10, 2012. 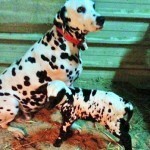 According to the news, Zoe the dalmatian adopted abandoned by its mother lamb with similar markings. Meanwhile, the adorable youngster doesn’t mind the dog to be his mother. Ms Bolton, who lives in South Australia’s Barossa Valley, said she laughed when the lamb was born. ‘It is truly spotted,’ she said. 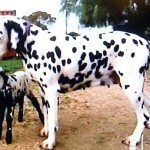 ‘Black spots on a white-based coat which is the same as a dalmatian. ‘Now the mother who doesn’t have puppies at the moment is actually cleaning it and licking it and mothering it and it tries to mother up to her udder.’ The lamb has also accepted the relationship and tries to suckle the dog. 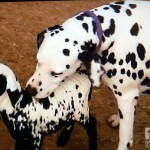 A black and white spotted lamb which has been adopted by Zoe the Dalmatian in Australia. Image from TV news. August 10, 2012. The lamb follows the dog but it gets its milk from me from the bottle. And the fact the animals have the same coloring may have no bearing on their bond. The striking thing about this particular story is that the animals look alike. That’s why people like it. It’s a cute picture but it’s not an unusual story. 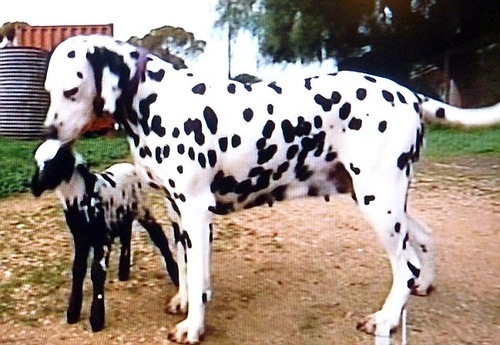 Lamb that thinks it is a spotted dog, adopted by Zoe the dalmatian in Australia. See story by Frank Thorne. Image from TV news August 10, 2012.